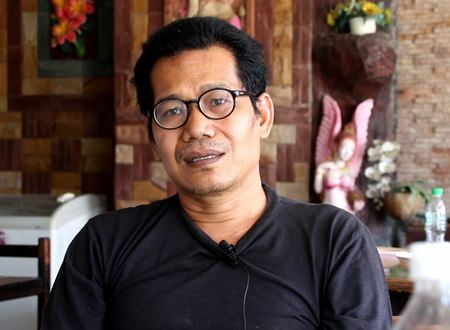 Sujit Kongsa-ard, owner of the Sampan Boat Noodles eatery, told reporters that business was really bad during the never-ending construction period. Soi Siam Country Club many finally be reopening, but whether businesses that survived the years of road destruction can come back remains an open question. Prior to the massively delayed roadworks, Siam Country Club was known as a busy road with businesses, shops, restaurants and other services. However, many had to shut down during construction that left the area unpassable for years. Before that, his shop did a variety of things like offering a food, planted organic vegetables, salad veggies and more. His big customers were hotels. Business was doing very well back then, but it was obvious that customers were challenged to come to his shop and his business declined. There were detours and many of his customers got lost since there were no signs to direct people properly. He then resorted to selling noodles instead, which kept his business just about alive. However, since the rainy season, his shop has been closed for six months since it was too muddy for anybody to come around. The roads have now opened but it is unclear whether the business will return to prior levels. Nongprue has said it will try to compensate business owners, but he isn’t expecting much at all, since he’s not the only business owner that was affected. Sujit hopes that this project will be an example for future projects and that it will not affect businesses again.